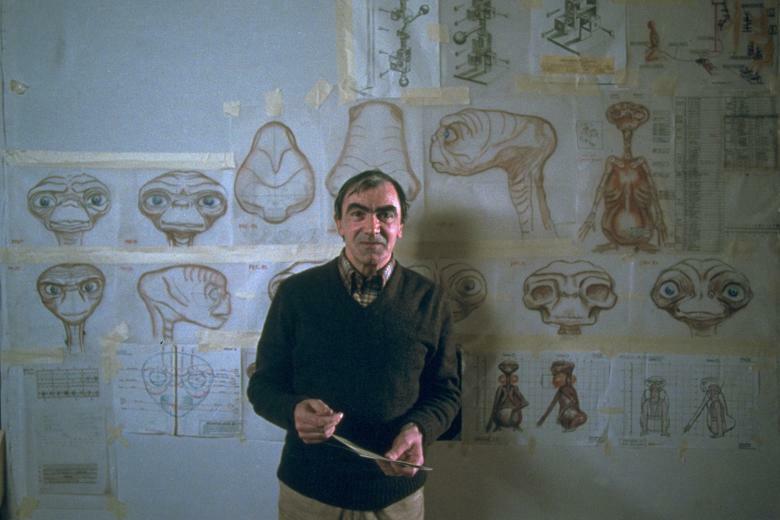 Carlo Rambaldi was an Italian special effects artist who is most famous for designing the title character of the film E.T. the Extra-Terrestrial (1982) and the mechanical head-effects for the creature in Alien (1979). Rambaldi won an Oscar for both designs. Rambaldi's own painting Donne del Delta (Women of Delta) led him to give the creature an extendable neck. The creature's face was inspired by the faces of a pug dog, poet Carl Sandburg, physicist Albert Einstein and writer Ernest Hemingway. 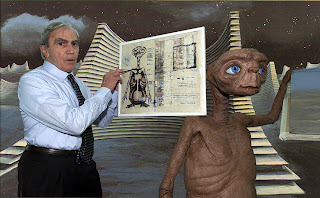 Rambaldi died August, 12, 2012 and left a legacy of film design. I remember him winning those awards. (Wow I feel old.) From the front, I always saw amphibian in ET though.